I stayed a week on Ascension in August 2000. Ascension Island is a small island in the South Atlantic Ocean, some 700 kilometers south of the equator, about halfway Africa and South America. The island has a maximum length of some 10 kilometers and a land area of some 97 square kilometers. The total population is about 1,100. Politically, the island is a dependency of the island of Saint Helena, which is a dependency of the United Kingdom. Ascension has a tropical climate, with very little precipitation. Ascension has fantastic volcanic landscapes. The top is called Green Mountain with its summit at 859 meters. The eastern part of the island is quite high and difficultly accessible. 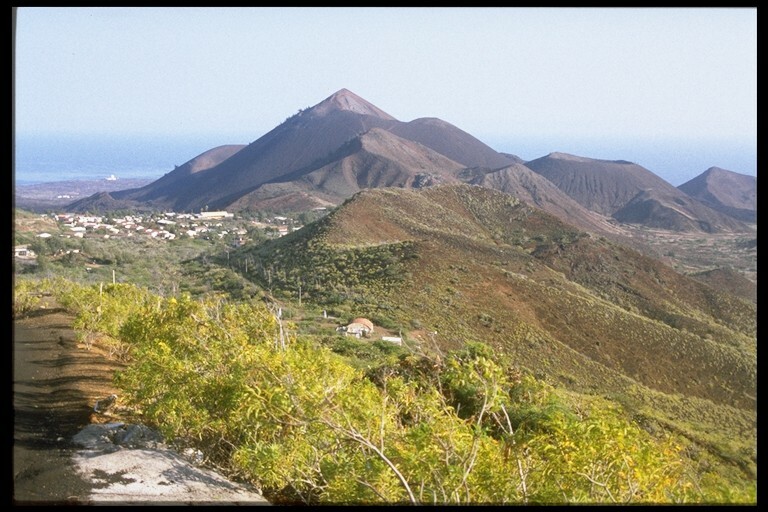 The western part of the island has many volcanic cones with craters, in a reasonably flat landscape. 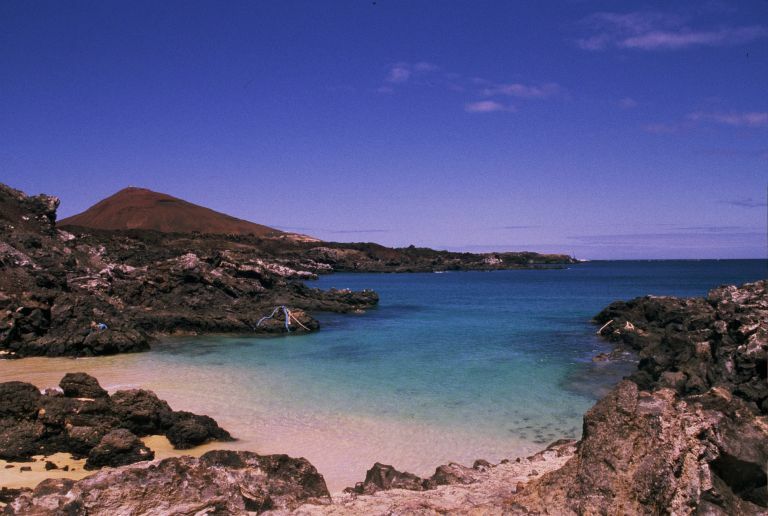 On the western shores, we find some sandy beaches, interrupted by extensive lava fields. Nobody has ever lived permanently on Ascension. All people who have ever been allowed to live on Ascension were or are employed by one of the companies operating on the island, such as Cable and Wireless Limited, the Royal Air Force and the United States Air Force. Only some employees were (and are) allowed to live with their families on the island. Of the present population of about 1,100, about 750 are “Saint Helenians” or “Saints”, about 200 from the United Kingdom and about 150 from the United States. Ascension was opened to tourists in the late 1980s. You can reach the island only by the Royal Air Force or with the Royal Mail Ship Saint Helena. The few tourists can enjoy themselves with game fishing, diving, mountain walking, watching birds, turtles and dolphins. The Ascension golf course was once in the Guinness Book of Records as the worst golf course on earth. Georgetown, the main village, has a few interesting buildings, including some forts with guns. Swimming in the sea is, unfortunately, safe in only a few places. There are enjoyable bars in the villages and in the American base at the airport. For details see the official website of the island http://www.ascension-island.gov.ac/ with links to tourism on http://www.ascension-island.gov.ac/visitors.htm .